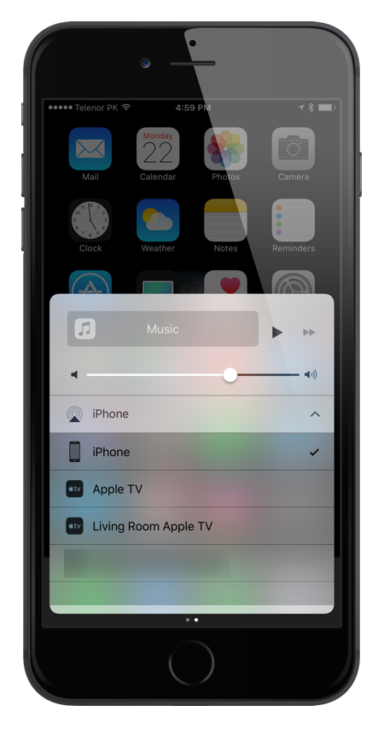 Here’s how you can select and switch between AirPlay devices on iOS 10 running on iPhone, iPad, iPod touch. 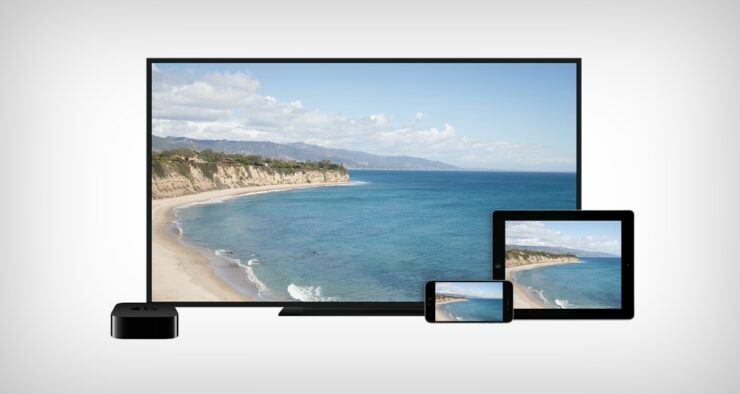 AirPlay is a wonderful little protocol by Apple, allowing users to beam stuff straight onto a compatible device (like the Apple TV) in order to consume content on a larger screen. It works just perfectly as long as everything is rightfully put in place. In iOS 10, getting started is a little different. For example, in the days of iOS 9, you could just bring up Control Center and select an AirPlay device from there. With iOS 10, things have been slightly reshuffled. Many users even believe that Apple has removed the AirPlay option altogether from the Control Center. That’s not the case, and you can still select your AirPlay device from Control Center, and switch between them like a boss. Here’s how you do it. 1. Connect to the same WiFi network at home (or your workspace) on which all your AirPlay devices are. 2. 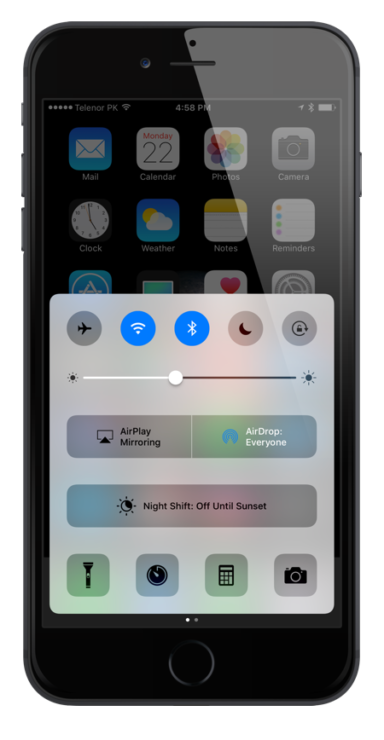 Bring up Control Center by swiping on from the bottom of the display. 3. Swipe left to head over to the playback controls page. 4. Right at the bottom of this page should be written ‘iPhone.’ Tap on it to bring up even more options. 5. After a coupe of seconds the list will be populated with all your AirPlay devices. Just select the one which you want to use and you are good to go. Apart from the above mentioned route, you can use specific apps to AirPlay content as well. For instance, while you are streaming a video on YouTube, just tap on the AirPlay button in the player window, select the device and you are done. In order to turn off the feature completely, just select ‘iPhone’ from the list of devices available. If you are new to the world of AirPlay, then the best device to get onboard the bandwagon is without a doubt, the Apple TV 4. Not only you get access to a lot of media content for streaming, but you also open a new doorway to the App Store where software is tailor-made for the larger screen. Third-party devices are available as well, if you wish to take that route. But nothing beats the convenience and features of Apple’s very own.